Unique Retreats > News / Blog > Events > What is Whitby Famous For? Most people know Whitby as a pretty little town on the Yorkshire coast, famous for great fish and chips but not much else. 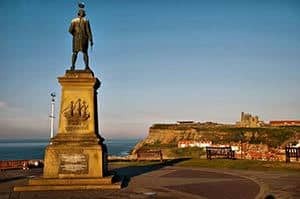 Locals to the area will tell you different though, and if you take the time to listen to the fishermen’s tales and the amateur historians you’ll find that Whitby is associated with a number of industries, events and people that really put it on the map. So what exactly is Whitby famous for? 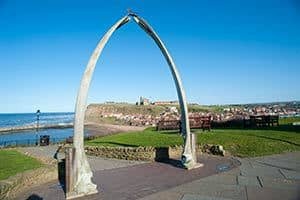 From 1753 through to 1837 Whitby was known for its highly successful whaling industry. Initially having the use of only two whaling ships, the Whitby Whaling Company left on their first expedition to Greenland with nothing more than a bunch of amateur local fishermen and plenty of goodwill. Surprisingly the crews saw great success and by 1833 the industry had reached its peak with more than 55 whaling ships working from the harbour. It is reported that during the lifetime of the whaling industry in Whitby the ships bought home a staggering 25,000 seals, 55 polar bears and 2760 whales! Unfortunately the whaling industry in the area seemed to collapse as quickly as it had grown and in 1837 it was completely abandoned. The last whaling ship to ever return home to Whitby is said to have returned completely empty. Captain James Cook was born in 1728 in Marton, Yorkshire, but became an inhabitant of Whitby at the age of 18 when he was apprenticed to local ship owners of the time, John and Henry Walker. Over the course of his three year apprenticeship, Cook worked on trade ships but by 1755 he was ready to serve in the Royal Navy. During his time in the Navy Captain Cook made three major voyages, the first in his iconic ship HMS Bark Endeavour and the final two using HMS Resolution. Both of these ships were built by Thomas Fishburn in the shipyards of Whitby and originally were used as coal transporters. The Endeavour was first launched in 1764 but was bought just 4 years later by the Royal Navy specifically for Cook’s voyage to Tahiti. The Resolution was built in 1770 and did just a year as a transporter ship before again being snapped up by the Navy. They obviously knew quality ship building when they saw it. The Captain Cook Memorial Museum is located in the house once owned by John and Henry Walker (Grape Lane, Whitby); the brothers credited with launching James Cook’s maritime career. Whitby Jet is a stunning semi-precious stone that has been used in the manufacture of fine jewellery since the Victorian age. The jewellery makers of the town still craft the stone into a range of exquisite items, although the experts in this trade are becoming few and far between. Whitby Jet can only be found along a 7 mile stretch of North Yorkshire coastline and is described as amongst the best quality jet available in the UK. Unfortunately it’s incredibly hard to mine the stone straight out of a cliff face so the pieces of Whitby Jet used to create individual items of jewellery needs to be foraged for along the numerous stretches of beach. Hence, each item of Whitby Jet jewellery is seen as a prized possession. 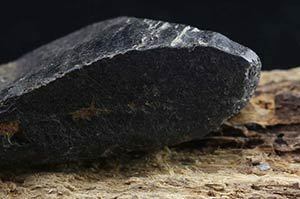 Learn more about the history of Whitby Jet. Everybody has heard of Dracula but unless you have actually read the novel (or seen the film) you may not know that Bram Stoker, the author, set the story in Whitby. Stoker was sent to Whitby by his doctor as a ‘treatment’ for stress and while out walking in the West Cliff area he is reported to have got the idea for his famous novel. From the West Cliff you can see across the harbour to Whitby Abbey, the sands below and the 199 steps that lead from one to the other. This sight sets the scene for the opening chapters of the Dracula novel, with Dracula coming ashore from his shipwrecked vessel just below the Abbey. The fact that Bram Stoker chose to have Dracula take on the guise of a large black dog is also a product of his time in Whitby; an idea given to him when listening to the fishermen retelling local legends. Over the years the novel has become a classic and as a result of its connection to Whitby the town is now the venue for the world famous Goth Festival Weekend. 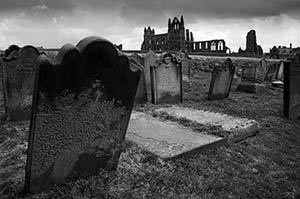 The Whitby Goth weekend is a biannual event that normally takes place in April/May and around the Halloween period. It’s described as an alternative music festival and has become increasingly popular over the last decade or so. While it may not be famous to the general population, lovers of Dracula, the dark arts, alternative music and gothic books swarm to Whitby to enjoy a weekend of revelling with likeminded people. Again, this event may not be famous on a mass scale but anyone who is into the ‘dark’ world knows about it and attends. The film festival is growing in size year by year and now includes live theatre productions, lectures, debates, trade stands, music acts, and of course film showings. People travel from all over the world to attend one or both of the festival weekends held each year, and even if you’re not a goth yourself they are still worth a visit. So hopefully now you can see that Whitby is more than just a scampi-producing town. Its history is long and varied and it’s responsible for one of the most famous novel characters of all time. Remnants of Whitby’s history can be seen all around the town but if you’d like to know more then you’ll benefit from visiting the museums.